UniverseSoul Dance is a premier hip-hop dance group based in Calgary and is recognized among the top hip-hop dance crews in Western Canada. With our signature style, we are innovators that are expanding the boundaries of urban dance. 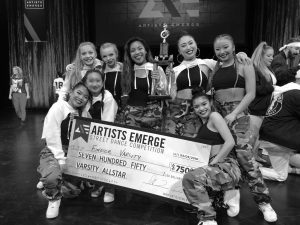 Our expert faculty train our students in one of the most unique hip-hop dance styles in Canada and push our dancers to achieve their highest potential and fulfill their dreams! The studio is home to rosters such as Finesse Varsity, Company and the ladies of Finesse.